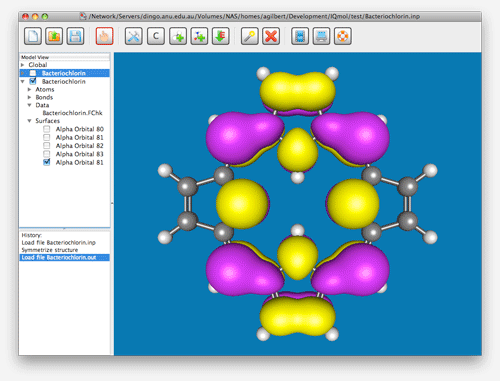 Picture 1: The phenyl radical showing the spin density overlaid with the total density rendered with transparency. 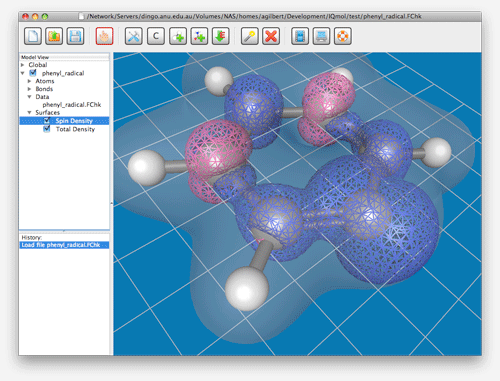 Multiple surfaces can be displayed and the settings for each can be adjusted independently. 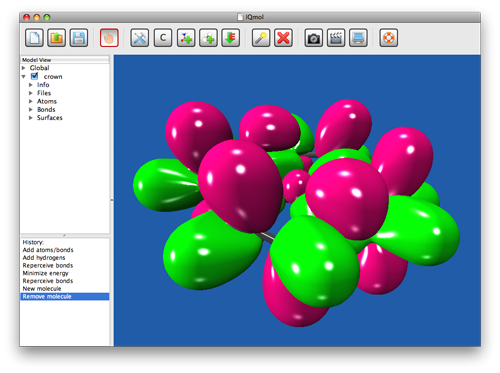 Picture 2: The transition structure for a complex with eigenvectors for the imaginary mode overlaid. 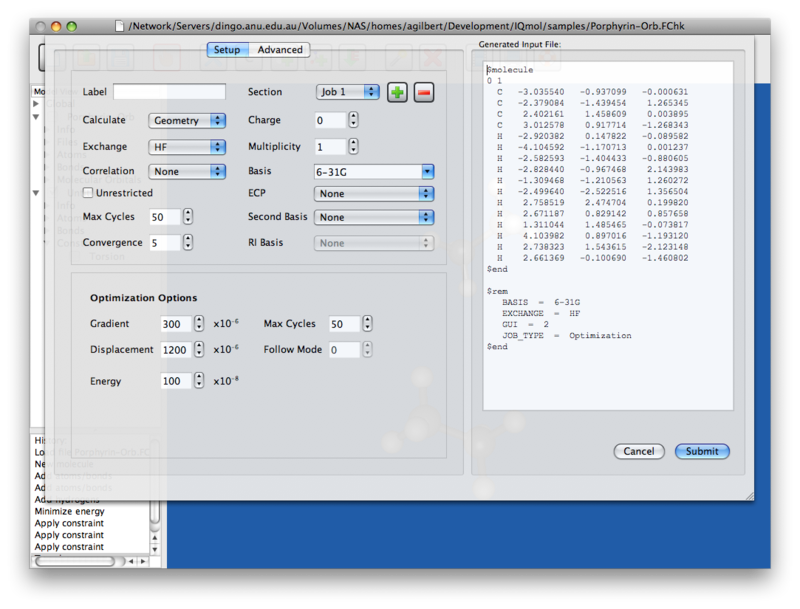 Normal modes can ether be animated or displayed as arrows. Picture 3: Plot of the highest occupied molecular orbital (HOMO) for bacteriochlorin. The structure was symmetrized before the calculation to give a perfect D2h structure. Picture 4: The HOMO for 12-Crown-4 rendered using the new Phong shader. 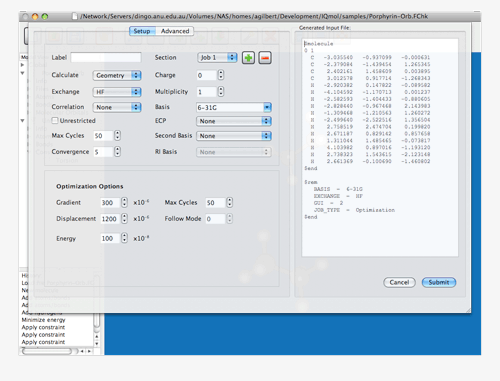 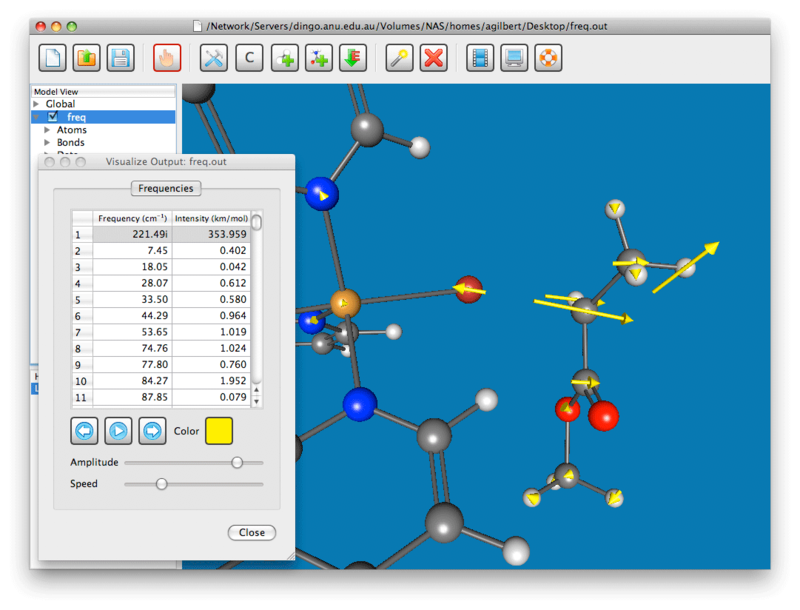 Picture 5: Image of the fully integrated Q-Chem User Interface (QUI) which allows for easy generation of input files for the Q-Chem program.